Greensky Bluegrass Kicks Off Weekend Run in D.C.
You Can Dance If You Want To: The Disco Biscuits at the Lincoln Theater in D.C.
Adwela & the Uprising has been on the forefront of the reggae scene around the greater metropolitan area and beyond for a number of years now, especially garnering a dedicated fanbase around areas like NOVA, D.C. and Fredericksburg. Their award-winning sound encompasses raw soul, roots, rock and reggae, weaving in influences by the great names of reggae like Bob Marley, Damien Marley, Peter Tosh and more. Adwela & the Uprising was awarded "Best New Reggae Artist of Virginia" in 2015, while their first ever album was #28 on the charts on iTunes reggae album charts. The future looks bright for this six piece, after such strong steps in the onset of their career. Adwela & the Uprising is Adwela Dawes (vocals, melodica), Rachel "Rockei" Henry (vocals), Rohan Meredith (bass), Marcus Harris II (drums), Erik Arnoldson (lead guitar), Drake Newcomb (keyboard) and Eric A. "Jackson" (horn). 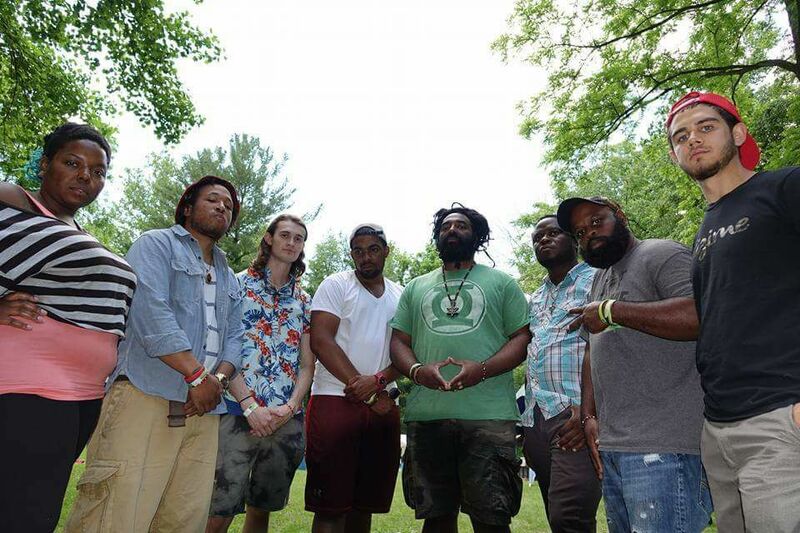 The Melomaniacs took a minute to ask the band a few questions to help fans new and old get to know this rising reggae act a little bit better. Karina Verlan: Can you tell me a little about how your band originated? Were you always a seven piece? Adwela & the Uprising: We originated as a six piece in a talent showcase in my hometown. There [are two original members] and we have expanded to a seven piece as we started to find our sound and figure out the best way to create it. We are still working on expanding a bit to bring the true authentic Jamaican sound... but those announcements will be made when its official. KV: What is your process for songwriting? Who writes your lyrics? A&U: Adwela writes the lyrics, and our co-vocalist Rockei has done some writing with her specific parts in a couple of songs. Our process comes a number of different ways: improv. while playing live, random inspiration, planned writing sessions, or just working on something in the rehearsal space. The state of the world we live in today certainly gives us no shortage of inspiration. KV: What has been your greatest challenge so far as a rising reggae group? A&U: Really just garnering the respect of a newly national act. We've done it all from touring, awards, press, music on the charts, really with minimal support from the people who claim to know us best. But just continuing to work and have faith in the process when the work doesn't always immediately bear fruit... definitely grateful and glad that we have stayed the course. KV: Where would you like to see yourself in five years? A&U: As a steady international headliner with a faithful following; and the credentials and catalog of music to garner that respect. KV: If you could have any artist that is still alive sit in on a performance with you, who would you choose? A&U: Right now Jr. Gong, of course...protege. Our good friends Raging Fyah, Big Youth, Sizzla, Chronixx, the list goes on and on. [We] would love to collaborate with Nattali Rize, but we may realistically make that happen. [Enough] good music out these days just to be mentioned would be an honor. To learn more about Adwela & the Uprising, please visit their website﻿﻿﻿. Karina Verlan studied Creative Writing at the University of Mary Washington, and Professional Writing at Old Dominion University. Her writing career has been steadily progressing in recent years, with contributions for publications such as The Connection Newspapers of Northern Virginia, NYSmusic.com and The Poke Around. Karina is currently the Director of Marketing at a high-end photography studio in Fairfax, VA. On weekends, you will find her chasing favorite bands throughout the states; or somewhere out in the mountains hiking, canoeing, or skiing. Her passions include writing, travel, photography and cooking.